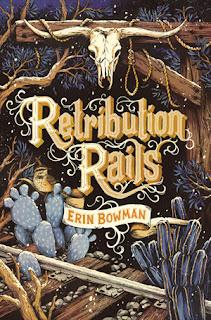 Welcome to the blog tour for Retribution Rails by Erin Bowman! 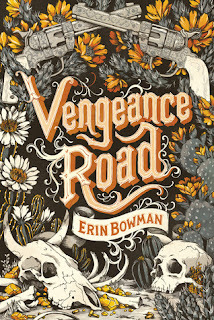 This is the companion sequel to Vengeance Road, an excellent YA historical fiction novel set during the Wild West. I had the opportunity to pick Erin's brain about writing a companion series vs. writing a continuous series! 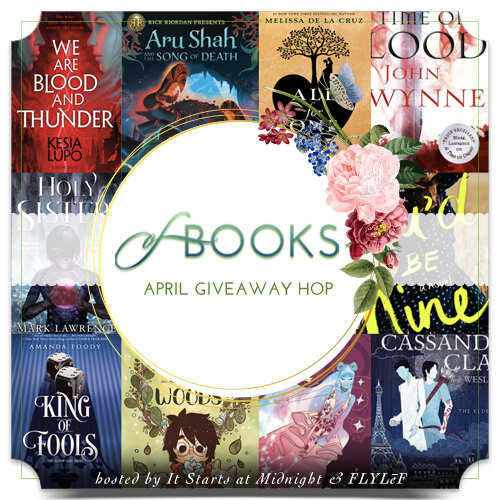 Check it out, and don't miss out on the opportunity to win a copy of the book! I’ve also written a continuous series—my debut Taken trilogy was one—and what I missed most from that experience while writing Retribution Rails was the familiarity of my cast. RR follows two protagonists: Reece Murphy (an outlaw) and Charlotte Vaughn (an aspiring journalist). When I wrote the sequels to Taken, I already knew my main characters. I knew what made them tick, what they wanted most in life, their greatest fears, etc. While writing a companion, I had to discover this all over again. The protagonists from VR have cameos in RR, but they take a back seat. It’s Reece and Charlotte who drive the narrative, and so their voices needed to be crystal clear for me to bring them to life. Charlotte proved to be the trickier of the two. Until I really dug into her history (and until I understood what motivated her), she fell flat on the page. It took many drafts to flesh her out. There’s also the issue of plot while writing a companion. While characters and subplots from VR appear in RR, I wanted RR to stand on its own. 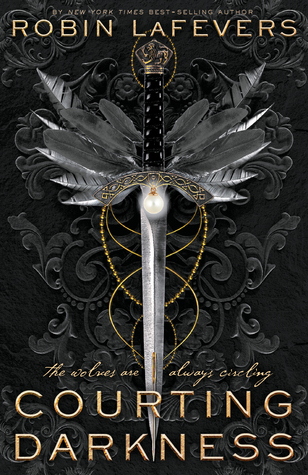 This was quite a change for me after my Taken trilogy, in which each book directly built off the plot of the prior, raising the stakes each time. But once I warmed up to the idea that I was basically writing a stand-alone with RR, things fell into place. I weaved in subtle nods to the first book, but a reader doesn’t have to read VR to enjoy RR. This is one of the best things about companion novels. Publishing order doesn’t dictate reading order, and readers can enter the series with any book. World-building in a companion novel felt very similar to me as in a continuous series. In both situations the world is the same between installments, and in both types of series, the world should feel bigger with each new book. If anything, I found this to be even easier with a companion than with a continuous series. Because RR gives readers new characters, we’re already seeing the world through new eyes, naturally allowing it to feel fresh. I also set RR ten years after the events of VR. Arizona Territory has changed. Trains now crisscross much of the land, connecting towns and cities. 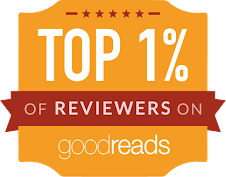 With an altered landscape, the world feels more complex to readers, and I didn’t even have to do that much legwork. It was just history at work! At the end of the day, though, it’s all just story-telling. Whether you’re writing a continuous series or a companion series, one thing remains the same: each book needs to have a beginning, middle, and end; and the protagonist(s) must face a challenge, emerging irrevocably changed by the end of the story, whether they’ve succeeded in their goals or not. Erin grew up in rural Connecticut, where she spent most of her childhood telling stories. It is rumored that her first words were not "Mama" or "Dada," but "Once upon a time." In middle school, when kids were going off to sleep-away camp for the summer, Erin was attending writing camp and penning short stories. She studied web design (and minored in Creative Writing because she couldn’t stay away from stories) at the Rochester Institute of Technology in upstate New York. After several years working in advertising and designing websites for various brands, she moved from Boston to New Hampshire, where she now lives with her family and writes full-time. 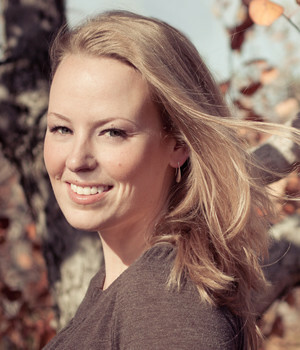 She is represented by Sara Crowe of Harvey Klinger, and is the author of the Taken Trilogy (available from HarperTeen) and Vengeance Road (HMH Books for Young Readers). 3 winners will receive a finished copy of Retribution Rails. US Only. Wild West adventure sounds great. I never thought about the difference it would have on the writer when doing a sequential series versus the parallel stories one. Thanks for sharing that. This one sounds interesting. I agree with every story needs a solid beginning, middle and end. Thank you for hosting! Gorgeous guest post Alyssa :D Thank you for sharing. <3 I didn't love this companion, aw, but I did like it a little even so :) And it's oh so gorgeous. Vengeance Road looks like nothing but excitement.